Everyone on college campuses across the nation is discussing the latest admissions scandal in which wealthy prospective students received acceptance into prominent universities as a result of unfair tampering. For many, the story merely confirms suspicions. For others, however, the scandal exacerbates the persistent racial and class biases in college admissions processes. For the Huffington Post’s Sarah Ruiz-Grossman's March 13 article "Elite College Admissions Scandal Shows Irony Of Affirmative Action Complaints," Ford School Professor Susan Dynarski, depicted the image of college campuses: “There’s a lot more kids at elite colleges because their parents are rich than because they are brown or black.” The scandal presents even more egregious issues since there are often assertions that people of color only receive acceptance into prestigious universities because of affirmative action and race-conscious admissions procedures. For Professor Dynarski, the scandal signifies other inequities within college admissions. “It’s a continuum with legacy admissions,” Dynarski says, referencing the privileges granted to the descendants of alumni at elite universities. When combined with the ability for wealthy parents to hire SAT tutors and mentors for admissions essay, the odds of acceptance lean definitively in favor of the more affluent. 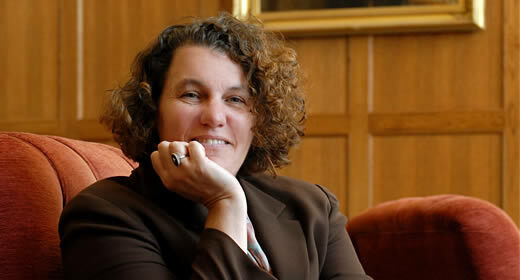 Susan Dynarski is a professor of public policy, education and economics at the University of Michigan, where she holds appointments at the Gerald R. Ford School of Public Policy, School of Education, Department of Economics and Institute for Social Research and serves as co-director of the Education Policy Initiative.